When you make it to your desk in the morning, what’s the first thing you do? And that won’t be the only time. 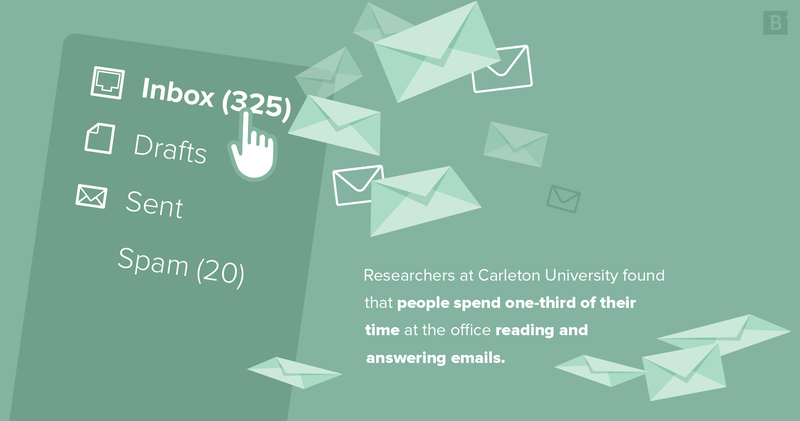 Researchers at Carleton University found that people spend one-third of their time at the office reading and answering emails. This is when you stumble upon conversations with co-workers, advertisements from your favorite boutique and even company newsletters, which could come from your own place of work or a brand you subscribed to in the past. If you’re creating a marketing strategy and want to know the who, what, when, where and why that’s specific to company newsletters, think about your own personal experience with subscriptions to such special interest publications. What is it about these newsletters that make you excited to read every time they circulate? 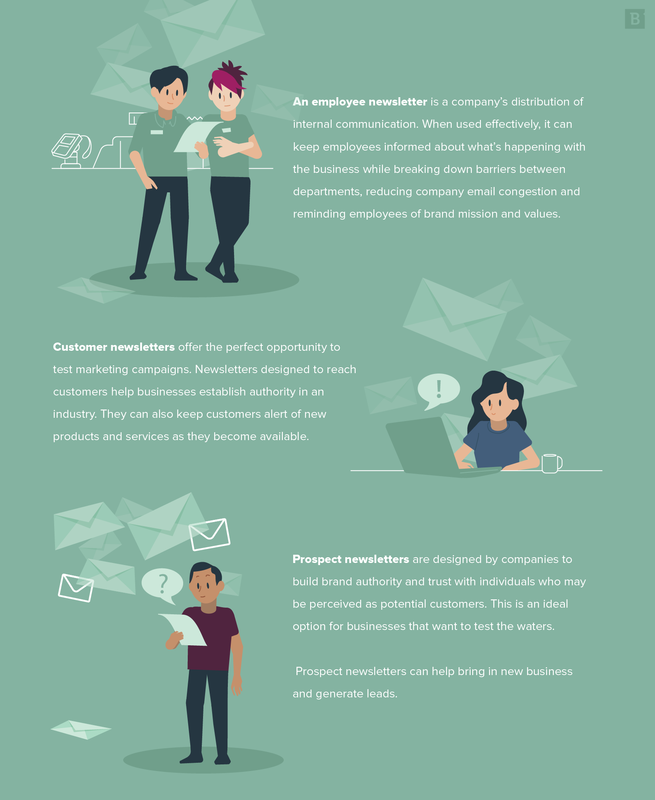 With 73 percent of millenials reporting they prefer to receive communication from a business via email, it’s time to elevate your email marketing strategy with an informative company newsletter. What’s a newsletter and why is it important? Much like newspapers, newsletters have been around for ages. They began as printed reports that contained news about an organization. These reports were then sent to employees, customers or target audiences on a regular basis. Now fast forward to the digital age, where newsletters are sent via email by subscription. Today’s take on newsletters contains the same important information as previously printed reports, but they coincide with marketing strategies. The point of a newsletter is to stay top of mind with leads, prospects, existing customers, internal staff and competitors. What are the different newsletter types? An employee newsletter is a company’s distribution of internal communication. When used effectively, it can keep employees informed about what’s happening with the business while breaking down barriers between departments, reducing company email congestion and reminding employees of brand mission and values. Customer newsletters offer the perfect opportunity to test marketing campaigns. Newsletters designed to reach customers help businesses establish authority in an industry. They can also keep customers alert of new products and services as they become available. Prospect newsletters are designed by companies to build brand authority and trust with individuals who may be perceived as potential customers. This is an ideal option for businesses that want to test the waters and bring in potential customers. Prospect newsletters can help bring in new business and generate leads. What are the common goals for company newsletters? Think of your company newsletter as a newspaper that’s dedicated solely to your business. What do you want your readers to know, and how do you want them to feel about your company? Just as a newspaper needs to be informative, timely and meaningful, your newsletter should do the same. What do you want to get out of this circulation? Click-through rates tell you a lot about how you’re targeting your audience. With a high click-through rate, you know you’re sharing a relatable message and satisfying your readers. A low click-through rate can be a sure sign that your subject line is misleading, or your links are irrelevant. Other expansive goals may include “Contact us” form fills or “Request a Demo” clicks. To reach a variety of obtainable goals, such as boosting sales, encouraging engagement, maintaining customer loyalty and communicating effectively, your newsletter copy should be clean, concise and relevant to your audience. Use analytics functions like the audience tab in Google Analytics to get a clear understanding of the demographic you’re targeting. A creative subject line. Give readers a reason to open up the email. A strong call to action. What are you trying to achieve with your newsletter? Informative and organized body copy. An ability to opt out of the emails. You have to give your readers the option to stop receiving the circulation. Otherwise, they could become frustrated and end up souring on your brand. A consistent schedule. Whether you send weekly, bi-weekly or monthly, be consistent in how often you send out the newsletter. The last thing you want to do is send out a newsletter your audience becomes disinterested in, causing them to ignore, delete or potentially unsubscribe. Make sure the color scheme matches your brand. Use fonts that are legible and well-organized. Take advantage of subheads to help your readers flow through the content. Stack content so it’s easily scrollable. Embed images to keep your newsletter from becoming stale. The easiest way to entice your audience to sign up for your newsletter – and keep them coming back for more – is to reel them in with a quirky name. 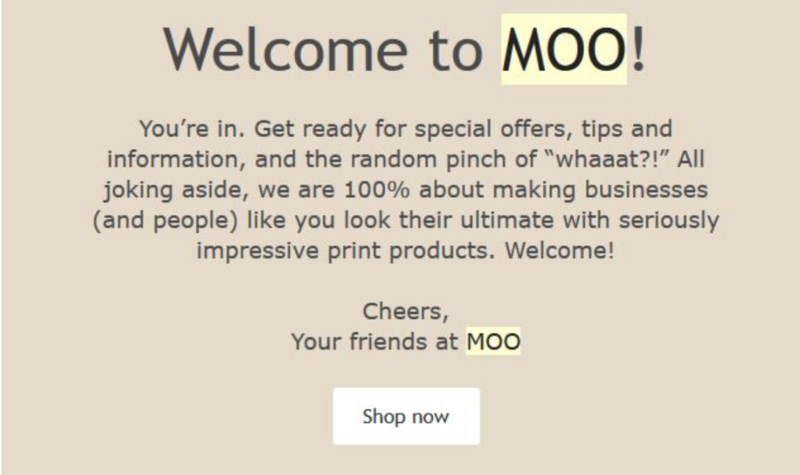 For example, moo.com – a company that creates printed products like business cards, postcards, flyers and more – dubbed its company newsletter the MOOsLetter. Stop right there and sign me up. 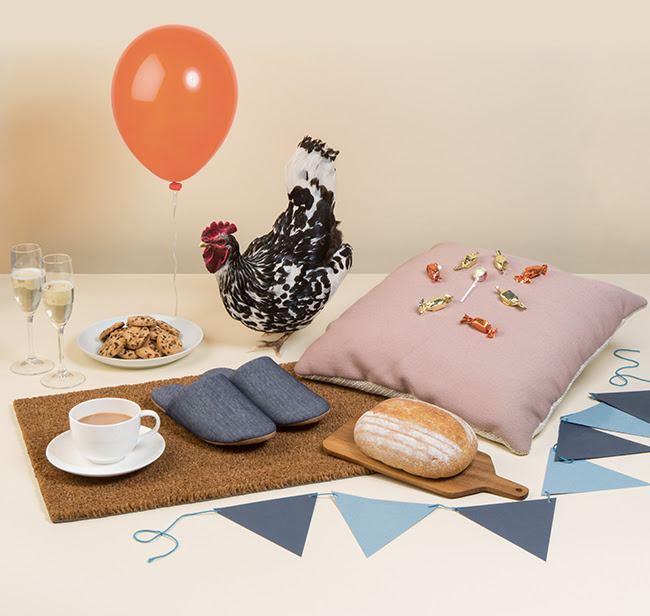 Even the welcome email is filled with pizzazz, from casually written content to a picture that includes a chicken, a fresh baked loaf of bread, champagne and a red balloon. Readers know they are signing up for fun content when they subscribe to the MOOsLetter. It’s not enough to offer your readers an inside look into the products or services you’re offering. They want to know the inside scoop to your accomplishments: Is business going well for your company due to client success? Your newsletter offers an optimal opportunity to highlight one of your customers who felt overwhelmingly pleased and satisfied by your services. While a success story gives your readers an inside look on a positive, real-life experience with your company, an employee spotlight lets your audience live a day – or email – in the life of one of your trusted workers. They get a more intimate peek behind the scenes of your business. Don’t forget to include a few visuals. A headshot, plus a few personal pictures of the employee at home with family and friends, shows your company is professional but also relatable to readers. If you’re looking for a creative way to showcase your employees, create blogs dedicated to team members like we do and share them in your newsletter. What better way to make a connection between your brand and your reader than with a personal letter from the CEO? One example of this approach comes from Robert Glazer, founder and managing director of marketing agency Acceleration Partners. 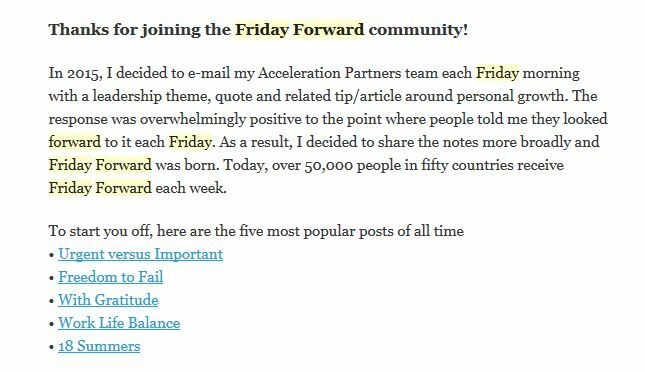 Each week, he sends out a company newsletter named the Friday Forward. As reported by Inc. magazine, the newsletter contains inspirational stories, mental exercises, reminders and advice for taking steps toward personal growth and more. Are you interested in teaching your audience about the latest SEO best practices? Perhaps you want to motivate them to try the newest blog content creation tactics you’ve had a lot of success with. No matter what, your readers are subscribers for a reason: They value the information you are sharing. 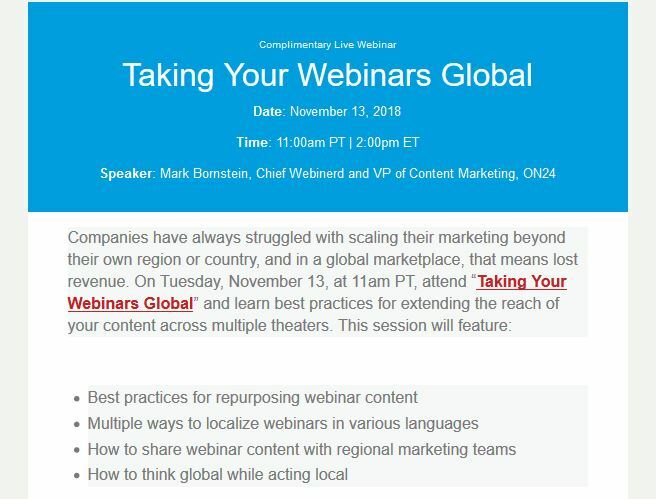 The Association for Strategic Marketing uses this tactic by advertising its webinar to subscribers. In this newsletter, you learn when the webinar is, plus the important points they’ll cover. It’s yet another way for your company to prove its prowess in your industry by offering practical solutions to your customers’ and prospects’ pain points. Blog teasers are perfect for inspiring your readers to open up the article and dive into your blog. While a common company newsletter tactic, there are different ways to amplify blog teasers if that’s the meat and potatoes of your circulation. Instead of including a paragraph or summary of each blog in the teaser, why not ask readers a question that will be answered in the blog instead? This gets your audience to think and can entice them to open up the blog and get to the answer. Driving traffic to the blog should always be a top priority. Build a loyal newsletter following by offering your audience deals, specials, coupons and discounts. If you’re worried about coming off too salesy to your readers, don’t make it the only element in the newsletter. Instead, be subtle and place it near the bottom of the page. This is also a great way to promote social sharing of your content with your newsletter. For example, a contest hosted on your preferred social platform can motivate engagement and interest, leading to improved reach on the platform. Sometimes, the smartest strategy for helping your audience feel more comfortable and informed about your business is by being straightforward and honest about company goals and intentions. Improve transparency with your readers by sending out a round of frequently asked questions and their corresponding answers. Start with the questions your sales team receives most often and build from there. Surveys are another way to give your subscribers a chance to engage with your brand and also provide valuable feedback for your newsletter. Ask them how you’re doing, how they are enjoying the newsletter and if there’s any content they’d like to see from you. These are great ways to gauge how valuable your newsletter is to your audience and even pinpoint new topic areas to cover. Today, email marketing campaigns are more effective than ever. With so many consumers depending on emails from businesses, there’s no reason your company shouldn’t be taking advantage of the opportunity to create and distribute a newsletter. As long as you understand how to craft and maintain a strong message in a clever and exciting way, you can ensure your audience sticks around. Creating a newsletter isn’t as easy as distributing random content – you have to create something that your audience will look forward to reading, bringing them joy and excitement the second your email hits their inbox.